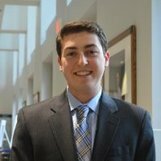 Austin (2017) is from the western suburbs of Philadelphia, and he graduated from the Olin Business School at Washington University in St. Louis, where he studied Finance and Accounting. He is a member of the professional fraternity Delta Sigma Pi and is a teaching assistant for accounting 2610. Austin is an avid Philadelphia sports fan and has always had a keen interest in how advanced analytics can assist decision makers in the global sports industry.